While Likud's Tzahi Hanegbi boasts 'we split the opposition,' there's no certainty Yisrael Beytenu will join Netanyahu's latest government. 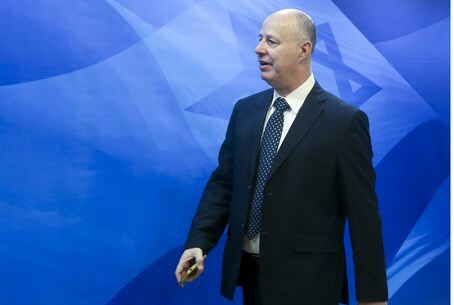 Coalition chairman MK Tzahi Hanegbi (Likud) stressed Wednesday night that while the recent deal struck with Yisrael Beytenu bodes well for the future of the coalition, it was not a certainty the party would return to the government. "The fact that we're cooperating on several fundamental issues softens the tension," Hanegbi asserted to Channel 2. Earlier Wednesday, Prime Minister Binyamin Netanyahu and Yisrael Beytenu chairman Avigdor Liberman agreed their parties would each throw their weight behind the others' choice of candidate for the Judicial Selection Committee. According to Hanegbi, "We split the opposition from within and arrived at an agreement with a significant faction on appointments for four important Knesset committees." "We reached a deal with Yisrael Beytenu, which puts us at the front of the next battle in a few days. [We'll have the voting power of] 67 MKs to 53, and I hope this difference will help us." And it appears the issue Likud is most concerned about is the November vote on the state's budget. "If we can build on cooperation with another party, in this case Yisrael Beytenu, then we will ensure the transfer of the budget," Hanegbi acknowledged. As to Likud's past and future relationship with Yisrael Beytenu, Hanegbi asserted that Liberman tanked coalition talks when he "decided to give up" the foreign portfolio. However, Hangebi added, "our goal is that he will return to the position and that his faction will be a partner in the coalition."